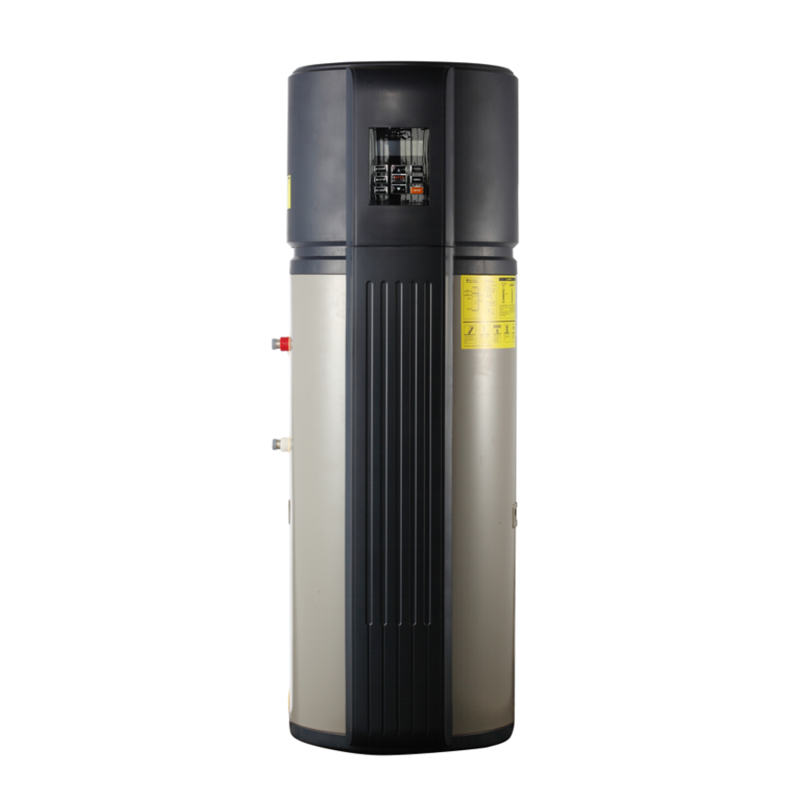 SINCLAIR SWH (sanitary water heater) uses a small heat pump to heat domestic hot water. 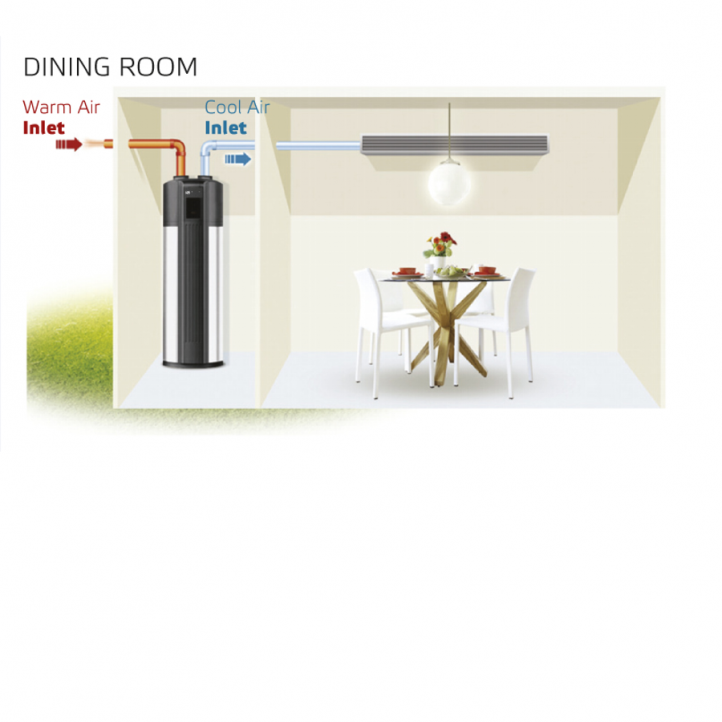 Heat is taken from the air from the outdoor environment or from indoor environment. You can use these units also to lower the temperature in some rooms of the house. 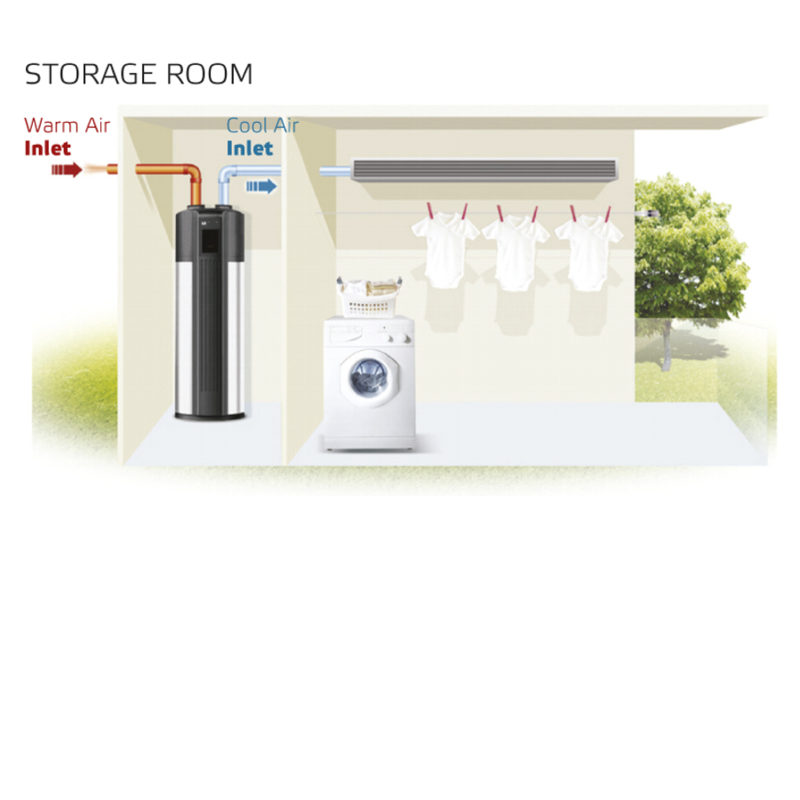 Because the heat pump capacity can be small, the unit is very quiet. Also, it is very easy to connect it to the system. You don’t need to do anything with the refrigerant circuit, only connect water pipes and air pipes. Big advantage of these units is safety. Electricity and water is separated so there is no risk of electric shock. Also condensing pipe of refrigerant is wrapped around the inner water tank so if there is any leakage, water is not contaminated by oil and refrigerant. Units have anode rod for longer lifetime of the inner tank and other components. Also safety valve is integrated in order to prevent from damage by overpressure. 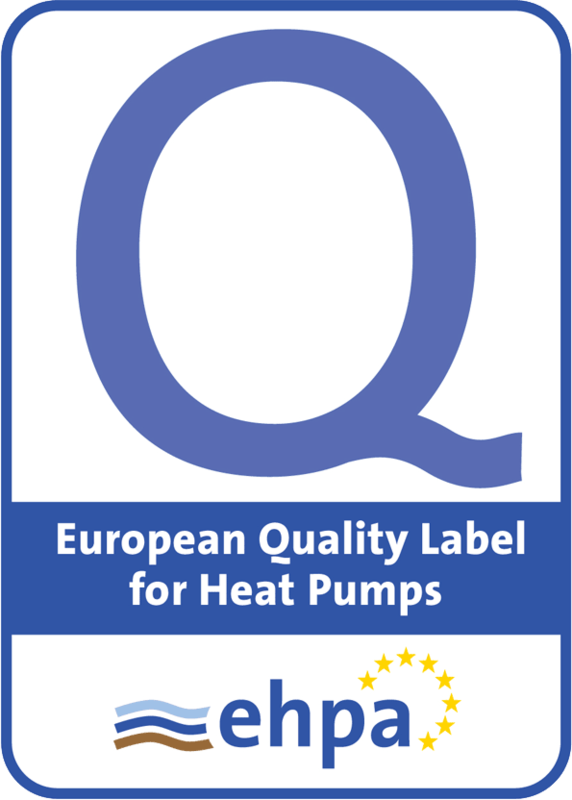 Safety of the user is secured on both sides, both the refrigerant as well as the water. 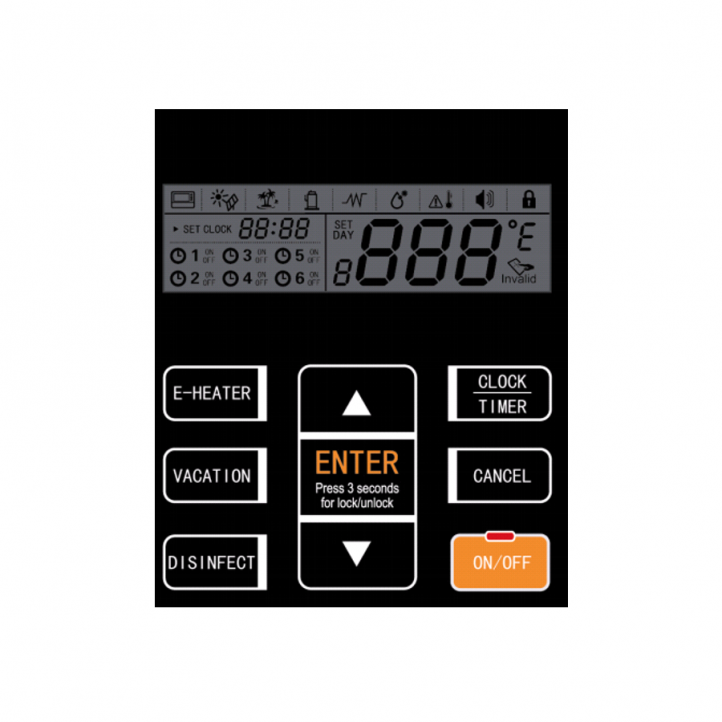 Control system has integrated logic for defrosting. 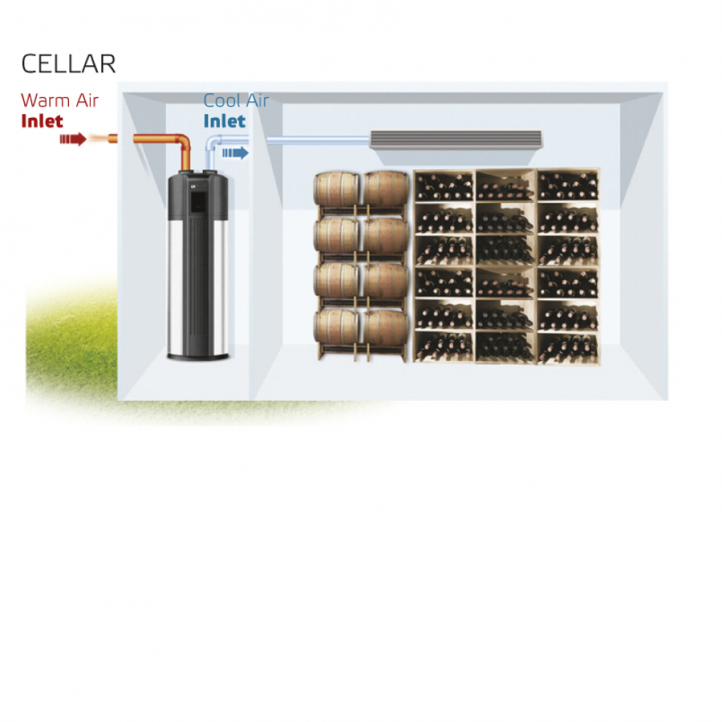 It allows heat pump to work even at low temperatures. Also control system will do the thermal disinfection of the water each week. If the outdoor temperature is low, the electric heater will be automatically turned on and the compressor is stopped to prevent from its damage.